Many states have a rule that restrict a lender or broker from referring to another lender by name in a mortgage ad. These rules typically relate to the reference of a consumer’s mortgage loan (and loan number) in another lender’s ad. The concern here is advertisers try to trick consumer into thinking that a refinance ad comes from their servicing lender when that is not the case. 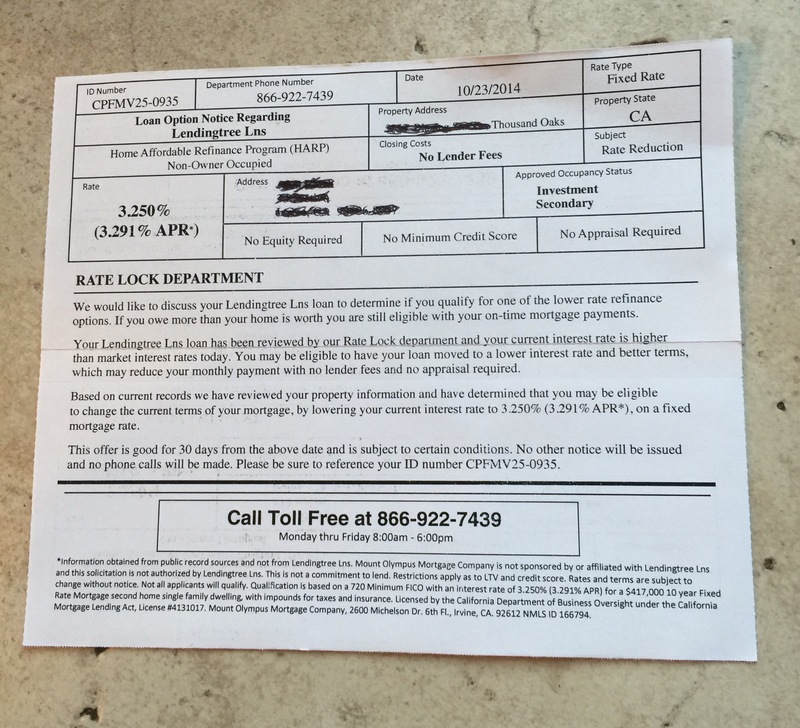 The main rule you will typically see is that a lender cannot refer to another lender by name without making a clear and conspicuous disclosure in the ad that the advertising lender is not affiliated with such lender and this disclosure must be in close proximity to the reference of the other lender’s name. Below is an ad that attempts to comply with these rules. But do see where the advertising lender falls short?